Just like a living organism must be able to cope with external stresses, such as extreme temperatures, attacking microbes, annoying neighbors, and mindless politicians, an organization faces its challenges too and it must cope with them. We can easily guess what they are: extreme macro-economic conditions, attacking competitors, annoying union officials, and… mindless politicians. In his phenomenally insightful and deservedly bestselling 2012 book “Antifragile. Things that gain from disorder” Nassim Nicholas Taleb argues that coping by being totally rigid and unresponsive to shocks is not the right strategy. It is much better to be resistant by virtue of being flexible and adaptable. But the ability to tolerate stress is not enough. The true power lies in being able to thrive and capitalize on stresses, using them as stimuli for our own improvement. This is what Taleb means by “antifragile”. While antifragility as the concept introduced to our current management language may be new for managers and management theorists, this way of thinking about the entities that exist in the world is familiar to biologists. When exposed to microbes in childhood, the immune system of the adult organism works better; allergies are becoming widespread because children grow up in overly germ-free environments. Similarly, when facing competition, companies work better. Without such stimulation, they become lazy, then sluggish, and may easily slip into oblivion. Since business model describes the entire “metabolism” of the organization, it is sensible to explore the relationships between the business model’s structure and the organization’s fragility and antifragility. Importantly, antifragility should reside in each and every building block of the business model, from the financial aspects to relationships with partners, customers, and employees. 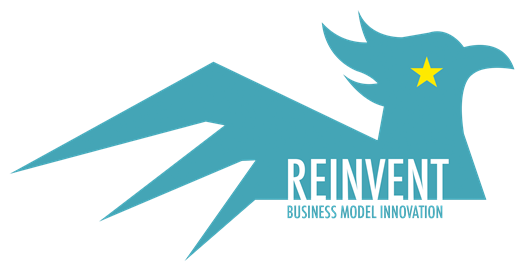 Business model reinvention should be the process through which organizations become antifragile. Only after we have managed to rethink and reshape our business model, does the old adage from Friedrich Nietzsche “if it does not kill you, it will make you stronger” become true. In the context of business and management, “stronger” means more innovative, more competitive and more profitable.